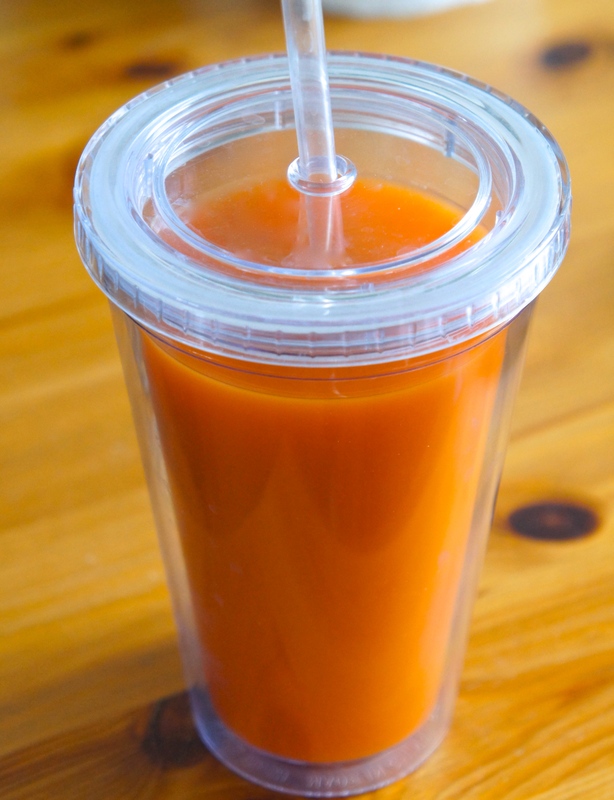 I think everyone could use some carrot ginger juice in their life! It is the perfect 3pm snack, that is healthy and satisfying as well as will curb any craving that you may have at the time! SO instead of reaching for those cookies or chips in between lunch and dinner, try sipping a 1/2 cup of juiced carrot and ginger mixed with 1-2 cups of water. This will both fill you up with vitamins and healthy goodies, as well as keep your body hydrated, which helps to reduce over eating and keep cravings under control! Don’t have a juicer? No problem! At most grocery stores now a days you can buy fresh juices! If you can only find carrot juice without ginger, just grate ginger into it when you get home! Simple fix! MAKE SURE that under ingredients, if they are listed it should only strictly say the ingredients that are in the name, such as for carrot and ginger juice it should only have those two ingredients listed. ALSO it should expire within a few days of purchase. Happy juicing and shopping! Have a great day.